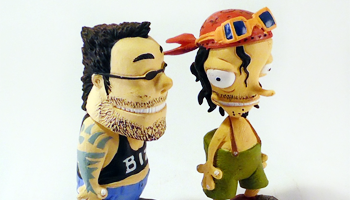 The Loyal Subjects makes some of the most awesome vinyl figures available. 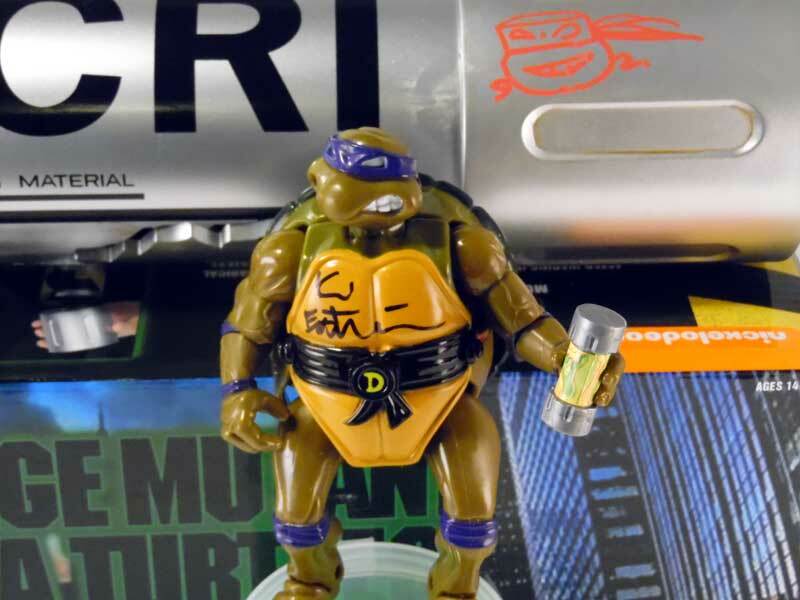 These TMNT figures are from the Wave 2 Mystery Mini Blindbox series. 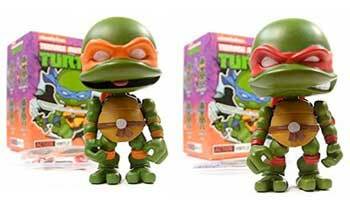 Each sealed box contains a 3 inch poseable figure with an accessory/weapon and collectors card. 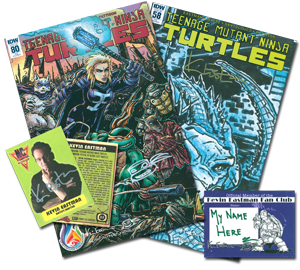 Join NOW and you’ll receive a FREE SIGNED 54 Fan Club Variant EXCLUSIVE and an issue 73 Variant – an exclusive cover featuring an homage to the first panel of TMNT #1 from Mirage Comics in 1984. 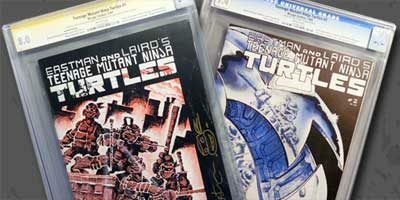 We just added a few CGC Graded TMNT issues 1 – 3 to the website in the Signed Collectibles Department. 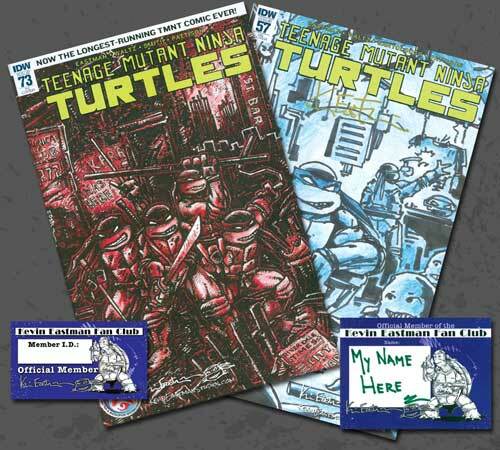 These vary widely in grades, printings and some are the Universal Blue Grade and some are Yellow Signature Series. Check them out and remember that they all come directly from my Personal Collection. This book is an original First Printing and is just $10 . This book is NOT signed. 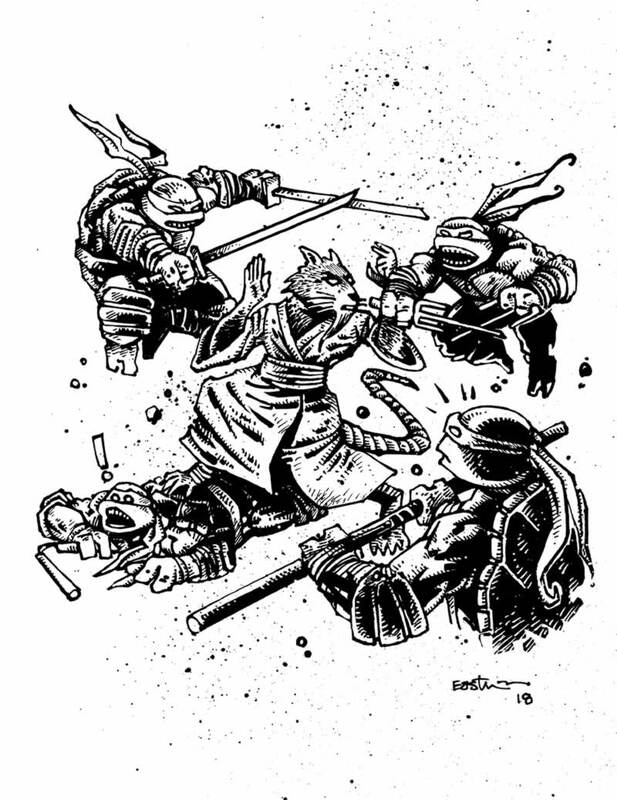 We have been actively digging up and archiving old newspaper and magazine articles going back to the creation of the Teenage Mutant Ninja Turtles from my personal media files. 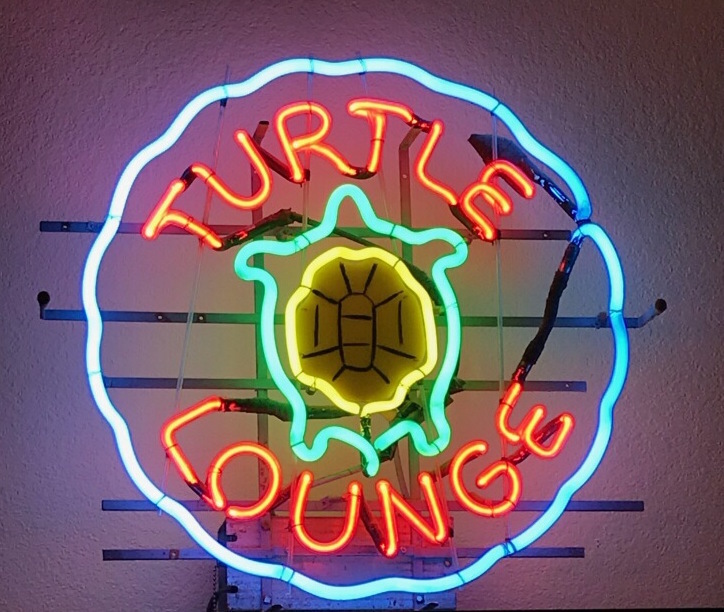 The goal is to add a couple of these each week, so bookmark this page and come back often!! 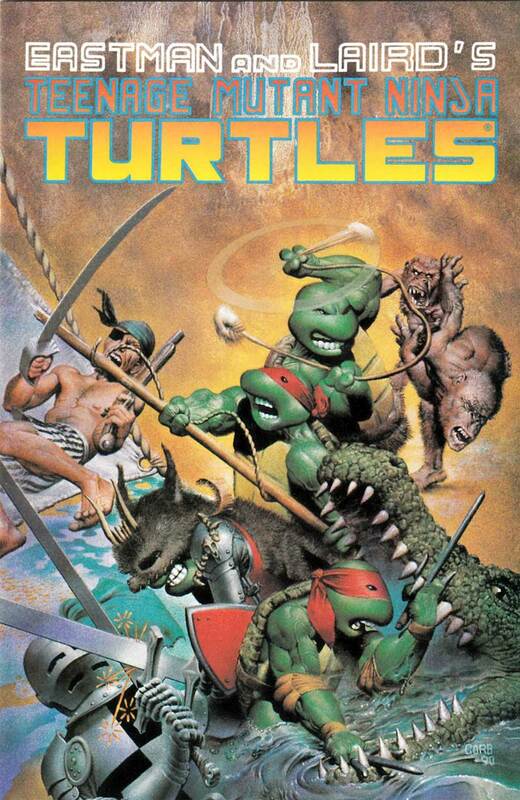 Sifting through my TMNT Media Archives we came across this letter to the editors of the CBG – dated April 26, 1985. Letter written by Gary Dunaier of Flushing NY. Grab a cup of coffee or your drink of choice and enjoy this letter and reply from CBG – fun memories. The numbers are in and Don (purple) won hands down with nearly 40% of the vote. 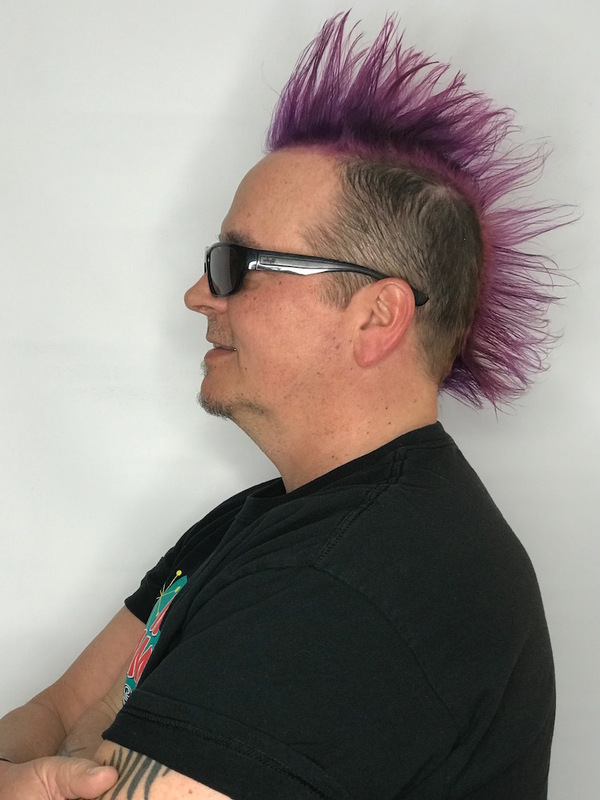 So on Thursday, March 15th, I had my mohawk dyed PURPLE! 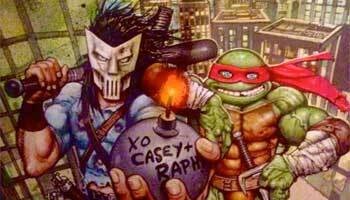 Exciting news – Top Shelf/IDW is reprinting the 1996 Raphael and Casey Jones classic – Bodycount this year! 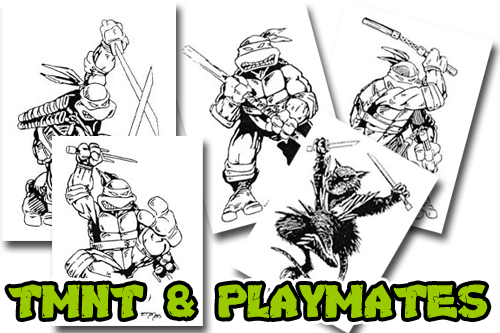 Batman/TMNT I signed copies available now! 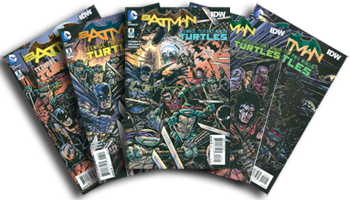 In 2015-2016 DC Comics and IDW teamed up for the crossover you never saw coming as two of the greatest entertainment icons met for the first time! 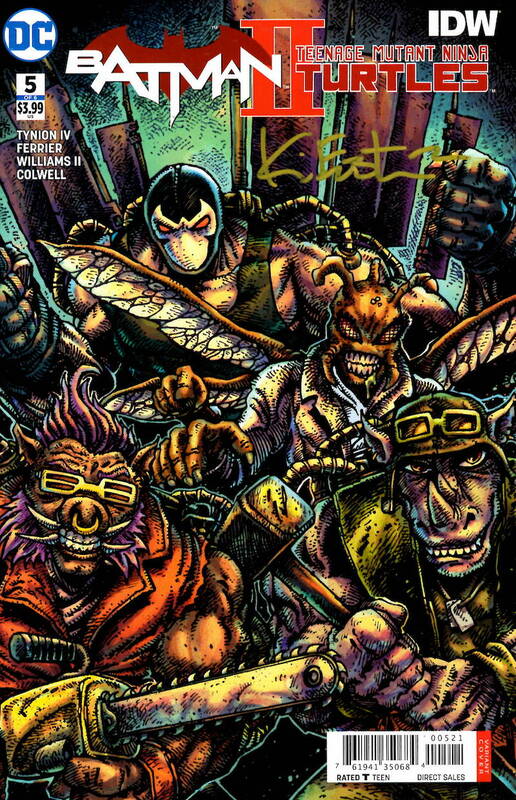 Biz an Buzz are coming back!!! An original, signed work of art on what else – a Pizza Box of course. 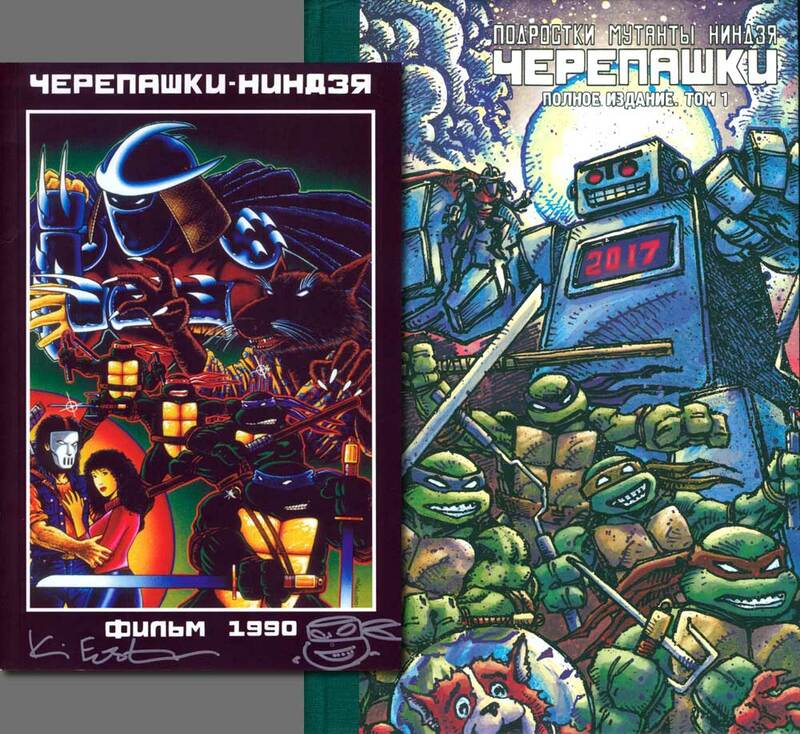 Each is a unique original, signed work of art so yours may vary slightly from the image shown. 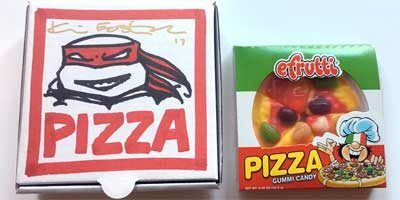 A mini 3.5″ square pizza box (some assembly required LOL) hand illustrated by Kevin with a mini candy pizza to pop inside.